Get into the swing of fall with rich reds perfect for hearty fall fare. With fall upon us, wine lovers have begun to turn to rich red wines that match the season’s hearty fare. And what better bottlings to consider than those of Ornellaia, situated in Bolgheri, the Tuscan region in Italy that produces big, bold offerings in spades, from collectible Super Tuscans to everyday Bordeaux-style blends. Ornellaia’s namesake wine was one of the first non-traditional reds that came to be known as Super Tuscans, high-priced, well-rated red blends featuring international varieties like Cabernet Sauvignon and Merlot. Later, Ornellaia added a more affordable second wine, Le Serre Nuove. Its 2013 vintage will hit stores in November. We sat down with Alessandro Lunardi, the company’s director of the U.S. and Latin America, to talk wines and why the recent vintage should be at the center of your next dinner. What is the attraction of winemaking in Bolgheri, and how does the region differ from the rest of Tuscany? Bolgheri is a coastal region, and, unlike Chianti or Brunello, it doesn’t grow Sangiovese very well. For years, it was considered hopeless for winegrowing. But then we found out it was an excellent terroir for growing other wine grapes such as Cabernet Sauvignon, Merlot, Cabernet Franc, Merlot and Petit Verdot. But aren’t there also weather differences that are to the region’s advantage as the climate gets hotter? Yes. 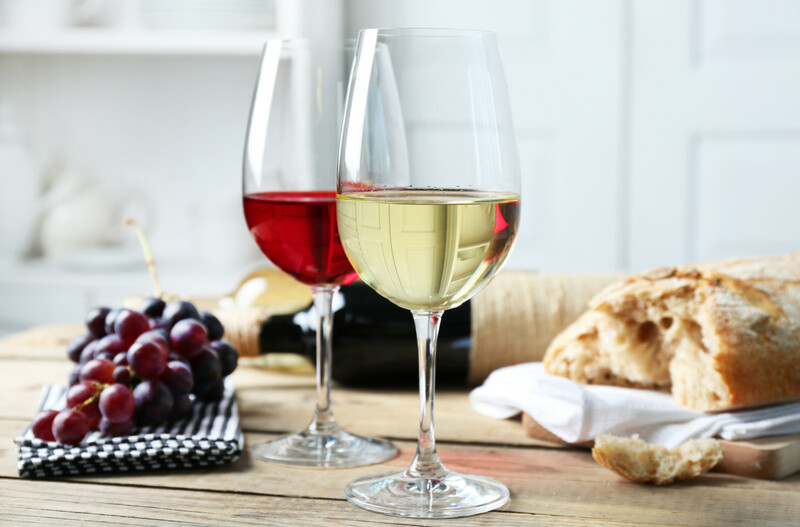 Grapes need to retain acidity to make great food wines. Temperatures on the coast are more temperate than further inland, less hot in the summer and not as cold in the winter. In August, even with global warming, we always benefit from the cool evening breezes from the Mediterranean, which allow the grapes to recover at night, retaining their acidity. Speaking of which, we are drinking the newly released Le Serre Nuove 2013. Other than price—about $78 vs. $220 a bottle—how does it differ from Ornellaia? Unlike with other second wines, Le Serre Nuove and Ornellaia come from the same vineyards and are vinified in the same manner…Later, the 65 different lots are tasted, and the choices made, with about 35% of the wine going into Le Serre Nuove. The difference is that it’s approachable earlier—a preface for what will come later with Ornellaia. In 2013, it was a cooler year and not as much of a challenge to winemaking. Le Serre Nuove, thus, expresses broad aromas and a larger array of flavors, and it is never intended to be a monster wine or a showstopper. Right now, it is showing wild cherries, some blackberries, licorice, some balsamic elements. Later, it will get some tobacco flavors. How does this translate to the table? First of all, the acidity of the wine will cut through any fat. And fall is a glorious season in Tuscany for food. It’s when we hunt wild boar and hare or rabbit. A stew of boar or rabbit would go well with this wine. Or a tagliatelle with porcini and other wild mushrooms sautéed in a little garlic and olive oil would be fantastic. We are farmers, and our foods are simple. Ornellaia also makes a third, less-expensive wine, Le Volte. How does that differ from your estate wine and the second wine? It’s a good everyday wine made with the addition of some Sangiovese that we buy from other farmers, either as grapes or as [unfinished] wine. Many of the great Super Tuscans come from Bolgheri and the larger Maremma region. Have they lost marketing luster in recent years? That’s what happens when you are successful—everyone wants to make a Super Tuscan. I saw a $9 wine the other day that was called a Super Tuscan. But there are perhaps 10 wines—Ornellaia, Sassicaia, Tignanello—that are the true Super Tuscans. These wines are still loved by true wine collectors.